In a short two decade period of time, twinned friends, the winners of the First War, are resolved to win even in peacetime. Dine has a cinema, Cone a weaving craft with the greatest local entrepreneur Mita by his side. 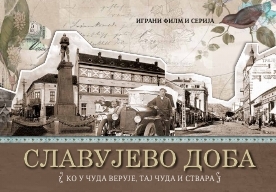 When a small provincial town becomes "Serbian Manchester", there comes the Second War!